When I made my favorite tote I had a decent size piece of that pretty spotted fabric left over. 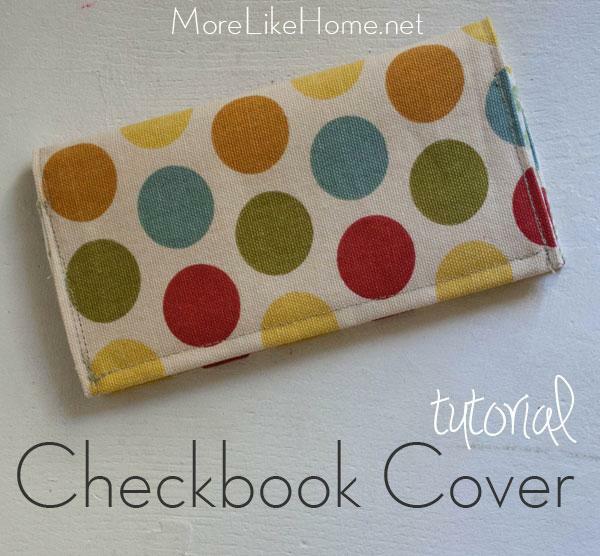 Right around that time my junky plastic checkbook cover (you know, the one that came when I first opened a checking account ?? years ago) cracked. So what better time to whip up a new and MUCH prettier cover?